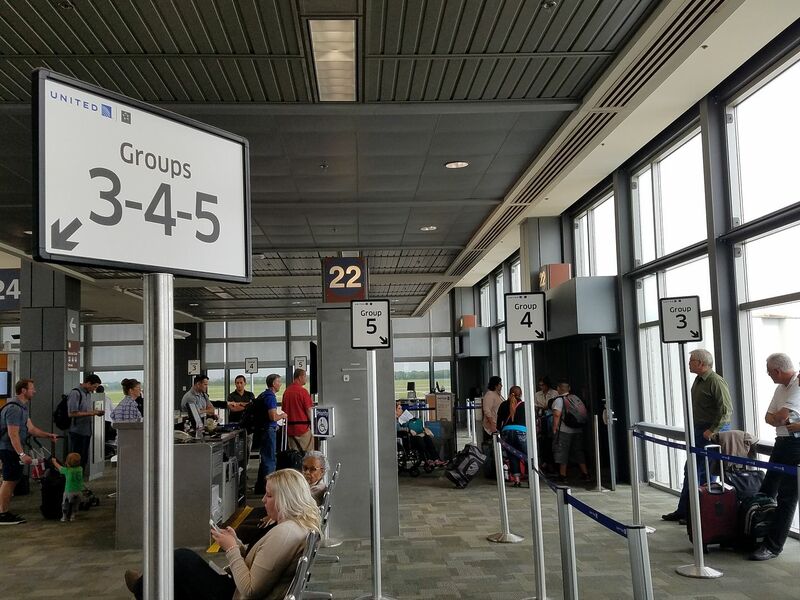 Two months ago United Airlines started selling highly restrictive ‘basic economy fares’ on a test bases on routes between Minneapolis St. Paul and the airline’s hubs. These fares don’t allow advance seat assignments, ticket changes, or a full sized carry on bag. Elites don’t get upgrades or economy plus seats on these fares, and customers don’t earn credit towards status either. Elite frequent flyers and co-brand credit card members do still get their priority boarding benefit, and since the carry on ban is handled by boarding group this allows them to bring a carry on in addition to a personal item as well. While United claimed these new fares were a benefit for customers, they were in a very real sense lying because Basic Economy fares were (as American Airlines candidly put it describing their own Basic Economy offering) merely ‘new attributes’ for the lowest fares, and not new lower fares at all. In other words, Basic Economy fares give you fewer benefits at the same price you used to pay. The goal is to make these fares unpleasant enough that you’ll spend more to avoid them. The risk is that you’ll spend more with someone else like Delta (which allows full sized carry ons on their Basic Economy fares) or Southwest (which still offers free checked bags and doesn’t charge ticket change fees). These fares are no longer limited to being sold in and out of the Minneapolis test market. Mommy Points reports that United is selling Basic Economy fares from Houston to Newark. I found those fares beginning May 9. Buying out of Basic Economy appears to cost a consistent $30 one-way on this route. A family of 4 will pay an extra $240 roundtrip to be able to have advance seat assignments and bring on carry on bags. United is now selling Basic Economy fares for travel Houston – Orlando starting May 9. The buy up costs $15 one-way. They’re selling Basic Economy fares for May 9 travel onward Houston – Seattle with a $20 buy up. For Newark – Chicago the buy up is $15 effective for travel starting May 9. It’s $15 Newark – Fort Lauderdale. United isn’t offering Basic Economy yet on all routes. And they aren’t offering it in connecting markets. So while the restrictions on cheapest fares are in place for Houston – Seattle, they aren’t in place if you’re traveling Austin – Houston – Seattle. Pricing on any other airline because a connecting flight on American isn’t going to offer basic economy at this point even though some of their non-stop routes do. Man, who the hell is manning United PR? What’s the easy way to avoid pulling basic fares in matrix.itasoftware? F the virus is spreading. So is it really a $15-20 fare increase (as we all predicted) or did the fares drop relative to legacy competition? Seems like you should be able to figure that out with a simple orbitz matrix. Just another example why people need to stop flying United Airlines. Denying passengers a carry on bag? Seriously, that is just ridiculous. If you’re that cheap then fly Spirit or Frontier. You’ll probably receive better service. I’d be fine with this if this was matching fares on routes they compete with Frontier/Spirit. However we know this is not what’s going to happen. It will be a similar experience but just more expensive on United. This might actually help Frontier/Spirit because if the experience is the same and the price is lower then those paying more on United because of all the things bundled in might just stop flying United and go with the ULCC. I hope the legacy carriers are ready to discover that lots of folks just aren’t willing to pay more and that fewer will buy up than they expect. Expect BIG group fives out there folks. Death by a thousand paper cuts. Or hopefully that ishe. The airlines have really gotten adept at one thing. making passengers and customers hate them. With my celebration of 30 years with a major consulting firm this June, I know I have been a pretty loyal member of United’s Mileage Plus Program for more than that as I joined when I was in college in Texas. When my husband and I were dating and needed to make sure we both picked the same airline. Being from Chicago, we chose United, as the hometown airline. So much for loyalty and status. I was stunned when I went to book at ticket to LAX today to visit my son at USC and selected Basic Economy and a window popped up that I said I wouldn’t earn and PQM, PQD, or PQS, and nor could I select my own seat. As a million miler flyer, I don’t need the lifetime miles but if I did that would also be shocking. Having Platinum or Gold Status for the past few years, and not getting any of these benefits is shocking and disturbing. The primary reason I stay with United is to have these perks. What are you thinking United — punishing your most loyal travelers who are trying to save money. My company has us select the lowest fare and typically I can justify United if it is a little bit more but now without any perks, I can’t make that justification and nor would I want to do so. I have always been told to switch to Southwest and put my miles toward earn a free companion pass (which I can easily do between travel and the credit card) and be treated better and save money. It seems like a compelling option if I can’t earn status by choosing fares that helps stretch my travel budget. I hope someone thinks about this a little bit harder and that a change is made quickly before you lose more customers. I found a quote from Scott Kirby that he recently said “Our best customers started abandoning us and flying on the competition, who had a better product,” Kirby said. “We have to turn that around.” It doesn’t look like this is a way to turn things around in a positive manner. If United wants to become a Spirit or Frontier Airlines, you are well on your way because I am sure many of your “Premier” travelers will find better options than to have their loyalty not rewarded.